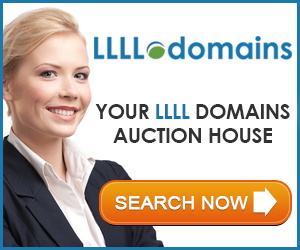 Here are a wide variety of domain names available at auction. They include some brandable domain names, exact match domain names, geo domains, crypto related domains, and product and service related domain names with lots of development and investment potential. They are up for auction on NameJet, many with low or no reserves, and will be closing in the next few days. Domains include those in the title and – SodaMakers.com, eAutoLoans.com, Corpus-Christi.com and more. BrandableNames.com, a boutique brandable domain name marketplace, has proudly launched their operations and services to those looking to brand their online endeavors with a unique, brandable name, whereby they can and will stand out from their competitors. BrandableNames.com works with businesses, startups, entrepreneurs, organizations etc. to match them with a domain name that is not just a web address, but a memorable ‘brand’ name, that their clientele can always easily remember and recall. Using a catchy unique domain name that says or implies their services, and that passes the ‘radio test’ when spoken or heard, website owners can help keep their ‘brand’ where it belongs – on the tip of the public’s tongue. The Brandable Names platform offers domains for various industries and fields of business, examples being FashionScents.com, ReelMusic.com, eAutoLoans.com, Provocative.tv, ShopBy.com, CannaMeister.com and hundreds more. And they have made it easy for domain buyers to browse and purchase a domain name offering the secure escrow services of PayoneerEscrow and Escrow.Domains to ensure safe and smooth transactions. Wire transfers and PayPal are also available. To commemorate their official launch, BrandableNames.com is currently offering a discount of 33% off all ‘priced domains’. Now thru 1/5/2018, enter the coupon code BN33OFF when checking out to receive the discount. Unpriced domains are also available and open to fair market offers. 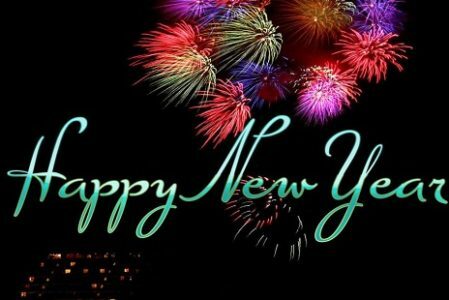 Best of wishes to all for a Happy and Prosperous New Year! Fellow domainer and blogger Andrei Polgar’s Wealth Management 2.0 book basically shows domainers and other people who make money on the net how to manage it, a book that became an Amazon best seller just two days after the official launch. The price is very low this week. Just $2.99. which is a steal because the book is almost 500 pages long. That’s the price of the digital version. The printed book costs $12.99 for those who enjoy a more traditional reading experience. Or if you want to listen to it in your car, when working out or (dot) whatever, you can get the audiobook. You can get all 3 versions (digital, print, audio) on Amazon or get the digital version on Barnes&Noble, Apple/iBooks or Kobo. Recently Tiffany and I decided it was time to search for a vegas condo, we spend enough time in the area so it had become beneficial to find a condo in Las Vegas rather than continue to float in and out of hotels, as much as we love the Aria something more permanent was in order. As we started the search we had reached out to our good friends at DotVegas who lead us to the leader in Vegas condo sales, who happens to be using LasVegasHomes.Vegas, which was a great sign as we have invested in several top tier .Vegas domains. We also found out he has plans to develop a few other real estate related .Vegas domain names. But this got us searching further, we had seen several .Vegas domains in use during our trips to the area, we quickly found the street level penetration of .Vegas was strong. This validated what we had seen elsewhere with gTLDs. Not all domain investors may be a fans but end users are. We had already been in contact with the people that own Bacon.Vegas, as well as several others, with a bit more looking it became clear that it was more than one or two people we have to run into using them, there were random sightings without even trying. We did finally select a location in Downtown Las Vegas, at The Ogden (home of Todd Bridges from Different Strokes and Tony Hsieh, Zappos Founder and head of the Downtown Project). After talking with several people during the process we learned that the Las Vegas real estate market is saturated but opportunity exists to stand out for both rentals as well as selling. Many of the sites people are using are either outdated or use horrible domain names. This lead us to a decision, research buying Condo.Vegas and Condos.Vegas. Which we did. 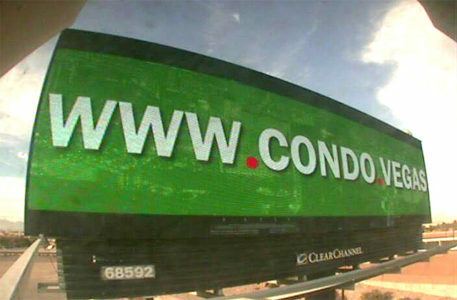 From a domain name perspective, the return we can get from a great gTLD based domain name like Condo.Vegas and Condos.Vegas is much better than what we would get from investing in the .COM related to either, now please, do not misunderstand that, I will always say .COM rocks and if you are in a place where the investment justifies the spend and does not keep the business from running as a whole do it. But in a case like this Condo.Vegas is a much better investment than a huge .COM buy or using a really crappy .COM that could be hand registered. Based on this buy we have formed partnerships with two different real estate firms in Las Vegas. We will be splitting usage of the domains into one being focused primarily on Vegas condo sales and the other on Vegas condo short term rentals (i.e. Airbnb, VRBO). Being able to hit both markets is key for us. It is great to see usage of .Vegas continue to grow, it made it an easy decision to step out of looking at this purchase as a domain investor and more like an end user. I expect we will be making further acquisitions based on the same ideas, and look forward to posting about them and also posting about discussions we will be having with gTLD users and their thoughts behind the branding they get from making the jump from a crappy, long, .COM they may have had, to a quality, readable, and memorable, gTLD. 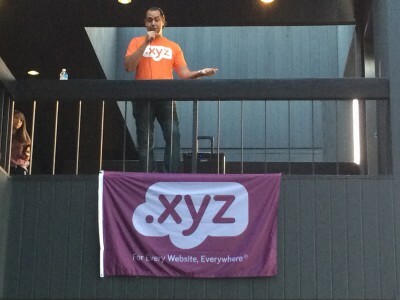 The first Southern California Domainer Meetup of this year will be held next month April 15th at 6:30pm, sponsored by the XYZ Registry at their offices in Santa Monica. (2800 Olympic Blvd, Santa Monica, CA.) Run by Jason Thompson and Kevin Faler, this setting at XYZ, was also incidentally where the last SoCal meetup of last year was held too. Daniel Negari’s XYZ registry offices have a great office atrium patio area great for networking, and they sponsor lots of food and free cocktails. There were some 60-70 attendees at the last SoCal Domainer meetup, and so far there’s over 30 reservations to attend this one. Local domainer meetups are a great way to meet and network with other local domainers, web entrepreneurs, domain related and other industry companies. This will be the 18th SoCal Domainer meetup, and should be another great networking opportunity. You can get more info, and make your reservation to attend here. Also wanted to point out that gTLD.Link, the domainer forum focused on the new gTLD domains is back up online after experiencing some server and related issues. For those that want to talk and discuss the new gTLDs, this forum, run by Phil Harris and Chad Wright, offers a professional, peaceful and enlightening forum environment that is free of all the drama and criticisms, found elsewhere for new gTLD discussions. If you’re a past member that thought it was closed, or a new or experienced domainer wanting some thoughtful talk and gTLD discussions, gTLD.Link is the place to do so. Check it out.